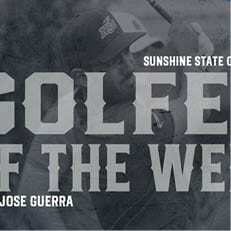 MELBOURNE, Fla. – For a notable fourth time this season, Nova Southeastern’s Juan Jose Guerra has been honored as the Sunshine State Conference Men’s Golfer of the Week, announced by the league office Monday afternoon. Guerra shrugged off an opening-round 77 by posting rounds of 64 and 69 to close out the Goodwin, hosted by Stanford, in a tie for seventh among a field that featured five Top-25 NCAA Division I programs. The senior led the way for the Sharks, who finished in 26th as a team, with an even-par performance for the week, including a seven-under par effort over the final 36 holes. 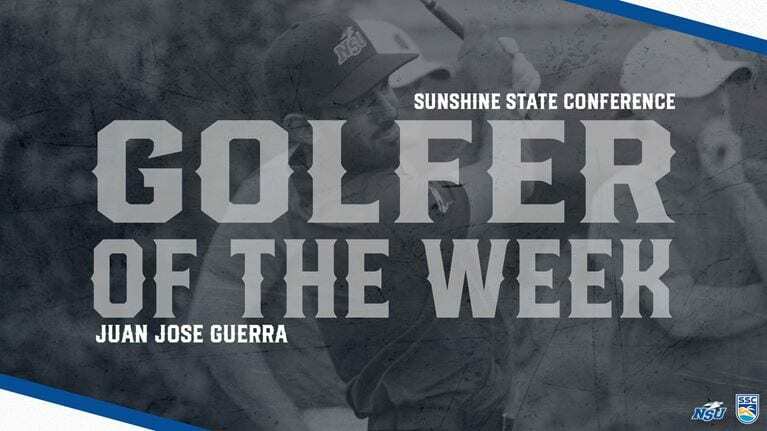 Guerra and Nova Southeastern will have two weeks to gear up for the Sunshine State Conference Championship, set to begin on Sunday, Apr. 14. The native of Santo Domingo, D.R. 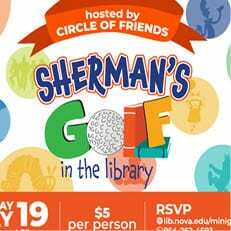 earned individual medalist honors at the event a year ago. 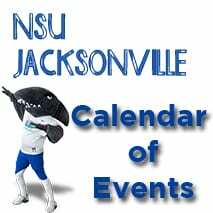 For complete coverage of the action, visit the schedule page on NSUSharks.com or follow the Sharks on Twitter @NSU_MGolf.